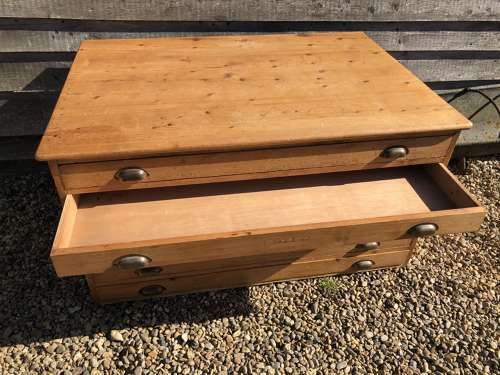 Quality Antique Pine Plan Chest ideal for artist or achitect etc. Nice example being panelled on both sides and original brass cup handles. Six deep drawers which all run smoothly. These Plan Chests are now difficult to find in this condition.